It is annoying that people are allowed to place adverts in the media comments on chess thread. 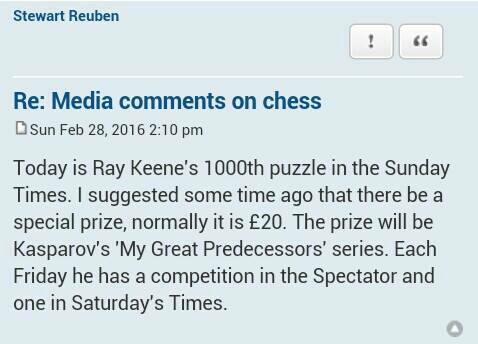 SR posted verbatim a press release from somebody selling chess clothing, and now an advert for the Times. What are the mods playing at? I don't credit either author with having a satirical intent.